Our restored vans that we offer on our website, are in such a condition that they easily pass the technical inspection of the Department of Road Transport (RDW) in the Netherlands, which will give the vehicle the Dutch licence registration, and therefore can be transferred easily to other European countries. Our restored and more expensive models will be sold including the European licence registration. Our restored vans are, in contrast to many "competitors", restored instead of a so-called makeover or makeup. We personally control the process both in Brazil and the Netherlands. The finishing and details are the final beauty and appearance. We pay very close attention to this section and personally control the service performed by third parties. The metal surface repair: We check strictly on the amount of metal putty located on the bus underneath the paint. With our restoration models, we remove the excess of metal putty and with the purchase of already restored models we check carefully with our professional device for measuring the density of paint and metal putty. The paint: The painting is carried out both in Brazil and the Netherlands. But recently we have decided to paint the majority of our models in the Netherlands.This way the client can still choose the final color, and the quality of the painting service in the Netherlands is high level. We usually choose the popular VW official colors of that period, but any color is possible. Alignment of the doors is also a profession where we carefully monitor. Obviously, the doors never close as smooth as with a modern vehicle, but despite that we want the doors to close properly without too much effort. Interior design: This is entirely renovated by us and is 100% craftsmanship. The seats will be restored with the necessary welding, and the inside of the seats with a new filling. 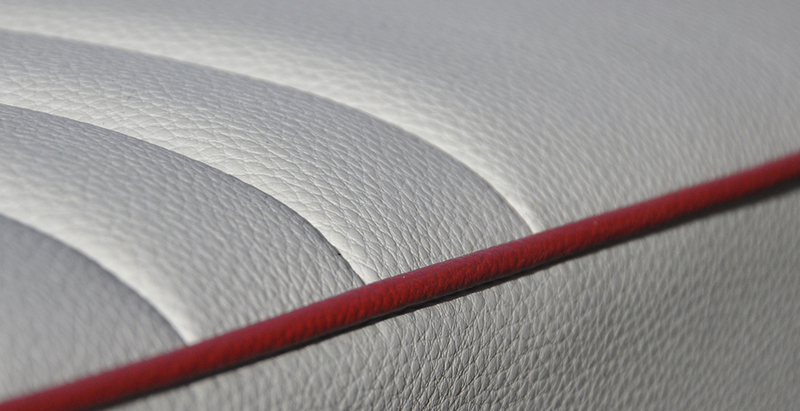 Then, chosen by us personally, the leather and the color combination which has to match with the colors of the van. The stitching is done according to the style of the 60's and 70's. The panels are handmade for each van and mounted in our workplace in Brazil. Each bus is standard delivered with a new interior, including a new leather ceiling. New tires with white walls are mounted for each model including a new spare tyrel. Accessories: These are the details that gives the van the final beauty, such as chromed mouldings, chromed logo, rubbers on the bumpers, chromed trims, white walls etc. Ironmongery: All locks are working with corresponding keys and where necessary the door handles will be completely renewed. The technical part is obviously the most important which guarantees the security. Without technical approval there will be no Dutch or other European licence registration. Complete revision of the engine with replacement of critical parts if necessary. Revision of the clutch, gearbox, brakes, brake discs, etc. Revision sheet metal: Replacement or repair of rotten and deeply rusted parts. In general, the bottom of each van requires extra attention in the majority of cases. We usually replace several parts related to the construction of the whole chassis. We have a stock in Brazil with many spare parts for replacement. Revision of the front axle or even sometimes replaced entirely with a new one, which guarantees safety and stability. Revision of the steering gear when necessary. with great attention to both the technical part and for the finishing and details.